Bayou City Bolt keeps more types, sizes, and styles in stock than any other distributor in our area. From the smallest machine screws to the largest hex nut, Bayou City Bolt can fulfill your fastener needs. "To Spec - On Time - In Budget"
We also offer the lowest minimums in the industry, and sell by the piece or in bulk - you buy only the fasteners you need! 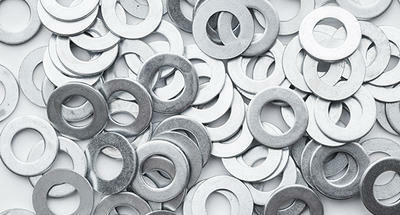 In addition to the standard bolts and nuts, we stock the fasteners other bolt companies are unwilling to carry. And because we buy direct from the manufacturer or their local representative, there are no other distributor markups on our products. Ninety five percent (95%) of all orders are ready for shipment on the day the order is placed. Most orders are ready within two hours. This level of excellence is due to our commitment to the customer-driven inventory and purchasing program we have developed. Bayou City Bolt can provide your company with a custom Bin Service, designed to keep your shops running efficiently. Contact our sales office for a free estimate for setting up bins at your location. Our extensive inventory, industry best purchasing department and attention to detail make Bayou City Bolt the fastener distributor for a variety of industries.